In 1887, Frank Smythson had a pioneering vision to create meticulously crafted and exceptional quality leather goods that would combine the functional with luxurious timelessness. The range includes handbags, travel goods, business accessories and stationery where bespoke printing and luxurious personalization is the high-end offering. Smythson has catered to royalty, boasting three Royal Warrants, as well as stars of stage and screen and influential figures. 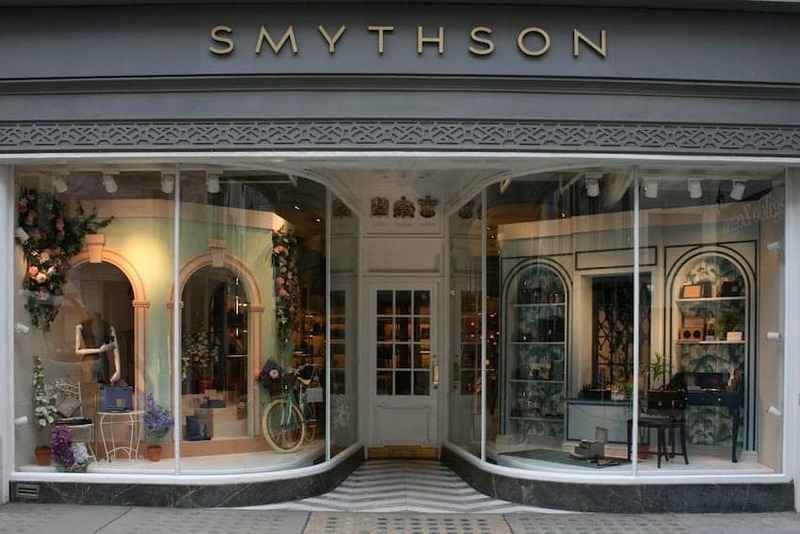 Smythson stores are located worldwide but the first opened on Bond Street where there is still a shop today featuring a mini museum.